It’s time to change the way we think and speak about our dreams. Transforming a conversation, just like manifesting a dream, begins by setting an intention. Your intentions will assist you in taking greater control of your life. A working definition for intention is: “to have in mind a purpose or plan, to direct the mind, to aim.” Lacking intention, we sometimes stray without meaning or direction. But with it, all the forces of the universe can align to make even the most impossible, possible. My intention is to transform the conversation around dreams from fear and doubt, to hope and possibility, followed by action and results. Some might say this is not the right time to dream. The media and masses say, “It’s time to be realistic.” Consider this. Without our dreams all we have is our present reality. Reality is not a bad thing. We have to know where we are so we can design the appropriate strategy for getting to where we want to be. The challenge is our attitude around “reality” and being “realistic” and what being realistic has cost us. Often that’s our passion and joy, our hopes and dreams. Given the unknowns and sometimes craziness of life, there’s never been a more important time to dream and setting your intention is the first step. When should you set an intention? You could set an intention every day. Your intention could be to work less and make more, or to find a new career that you are passionate about. It could be to get healthy and physically fit, or to spend more quality time with loved ones or alone. People set intentions on all kinds of dreams; to get married or have children, to get a job or make a career change, to write a book, lose weight, or move to a foreign country. When you set an intention and then act on it to demonstrate your commitment, amazing things occur. Intention can also give us fortitude for dealing with tough times. I am currently rebuilding my home. I simply wanted to add on a new bathroom, but with all the surprises an old (and charming) house can offer, every turn has been a shock, sometimes even a nightmare. It looks like the entire building may need to be rebuilt. My intention is to live through this process with dignity and grace. I am tested daily. It’s often not easy, but this intention has helped me maintain composure, sanity, and on a good day, a sense of humor. Intention can be used for community or social issues, global events or (literally) in your own backyard. Before you get out of bed, you can intend to have a fun or productive day. Before you leave the house, you can intend to have quality time with your family or roommate. Before you start your car, you can intend to have a safe ride to work. Before you enter your workplace, you can intend to learn something new or be helpful. Before the meeting begins, you can intend to be brilliant or calm. 4. Acknowledge that you did what you said you would and then, take the next step. Gregg Braden, world famous author of The Divine Matrix, in a truly life transforming interview. Definitely a must watch for anyone who wants to improve the way in which they see and perceive the reality. Gregg talks about one of the most famous Universal Laws, the Law Of Attraction. As the ancient traditions said: “Our experience is only an experience. Not positive, not negative, until we judge our personal experience”. We attract everything we experience either consciously or unconsciously so I believe you would agree, it is much better to be aware and mindful of our thoughts and feelings. 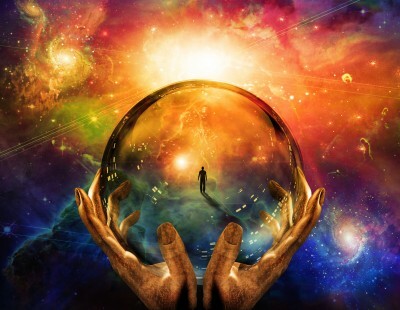 The Law Of Attraction is closely connected to Visualization, Intention, Manifestation and so much more that makes it a very vast subject. We will write more about these amazing topics and will surely post more talks, tutorials and meditations. This is definitely an eye-opener. Enjoy! In this article, I feel guided to talk about what we are consciously or unconsciously manifesting on the physical plane. This is a major theme these days and will continue to be so. We’ve all progressed so much and are able to manifest much faster – we need to become more conscious of this process. Each and every one of us is capable of creating and manifesting and that is a thing we’ve been doing whether we were aware of it or not. We have been creating constantly all our life, naturally, as it is part of us as Co-Creator beings. Experiences, certain situations, relationships, abundance and literally everything in our life was created and manifested by Us. If until now we’ve been doing it unconsciously, now with all the energetic upgrades, all the shifts in vibration and frequency we’ve been experiencing, it is time to become more aware of all these creations, in order to shape our reality in the vision of our Soul`s Purpose. The most important aspect of manifestation, that I feel is necessary to emphasise is Self-awareness. Manifestation/Creation is not something you “do” it is something you are, it is a state of being and it’s constant. Self-awareness is the key to create and manifest into your reality whatever you intend to. Creation exists only in the Now, so first and foremost, we need to ground ourselves in the present moment of Now. When we are in the Now, being self-aware comes easy, cause in the Now, we simply are. Our emotions and thoughts do create our reality, so awareness of those is important, but what really creates our reality is our Consciousness, our Whole being, All we are. So, if we have any sort of fear, blockage, outdated perception, limitation etc. that will stay in the way of creating that which our Heart wants. We have to become the Observers, which means being in a neutral state of being, of non-judgement. In that place we are able to acknowledge, release and heal what no longer serves us . Those blockages that I’ve mentioned above are not there coincidentally, we’ve placed them on our journey in order to grow. When you are ready to release those and grow from them, it is the first step towards creating the reality that you desire. How do we set intentions ? There are numerous simple ways to do that: using affirmations, mantras, guided meditations, visualisations etc. Pick one or more that fit you best. When you are setting your intentions, be specific, but make sure you are not getting caught up in details, let the Universe take care of the details. Trust in yourself and your abilities and have faith that which you intend to. Have no expectations of how that which you intend to, will take form. Life is full of surprises and your expectations will not only be outrun, but if you are too focused on your expectation, which is nothing more than a possibility from a godzillion other possibilities, you could miss the real deal. Simply stay open to any possibility, opportunity that might be presented to you on the way, follow the signs and synchronicities and trust. Prepare to be amazed by your own creator abilities, your own power. Use it wisely, consciously.